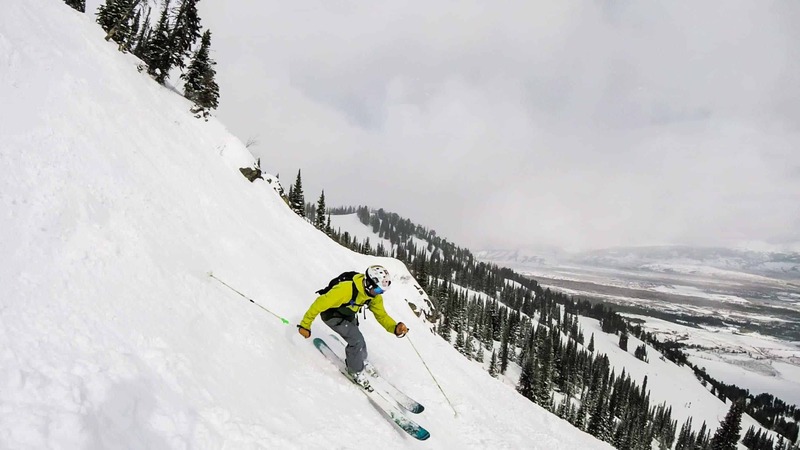 There are so many winter activities in Jackson Hole and in every mountain town. Our goal for the remainder of this winter is to find the awesomest (is that a word? Yeah, we’ll go with it) things to do in the ski towns we visit. We know that winter mountain life isn’t all about the skiing, so we’re setting out to not just ski, but to also find out the untold offerings of each town. While the most obvious winter activity in Jackson Hole is skiing or snowboarding, it still had to make our list. It’s the main reason tourists visit the town in the winter, so it’s a no-brainer. We instantly fell in love with this resort for its steep slopes and awesome tree runs. After getting your turns in for the day, head into town to the Roadhouse Tap Room for some awesome brews and good conversation. There are plenty of places to aprés on the hill, but coming into town away from the crowds brings you into a different vibe altogether. The staff is fun and friendly, and the patrons are down to earth rad people. If you want some insider info on the town, this is the place to be. 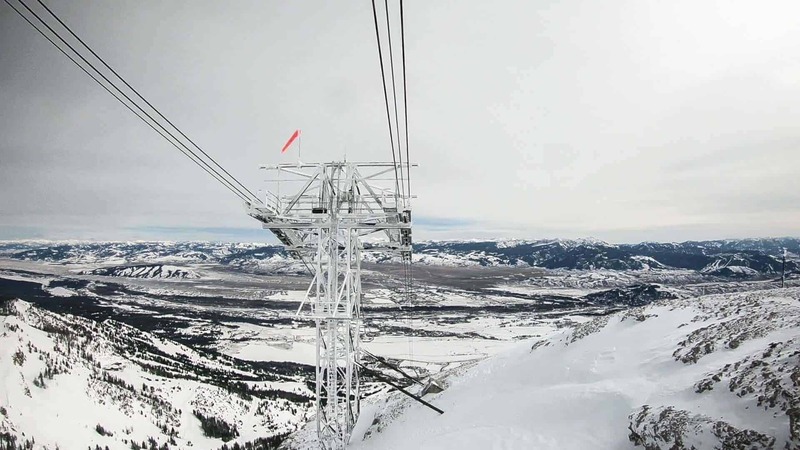 The iconic aerial tram at Jackson Hole soars 4,139 vertical feet from the base of the mountain all the way to the summit in just 12 minutes. 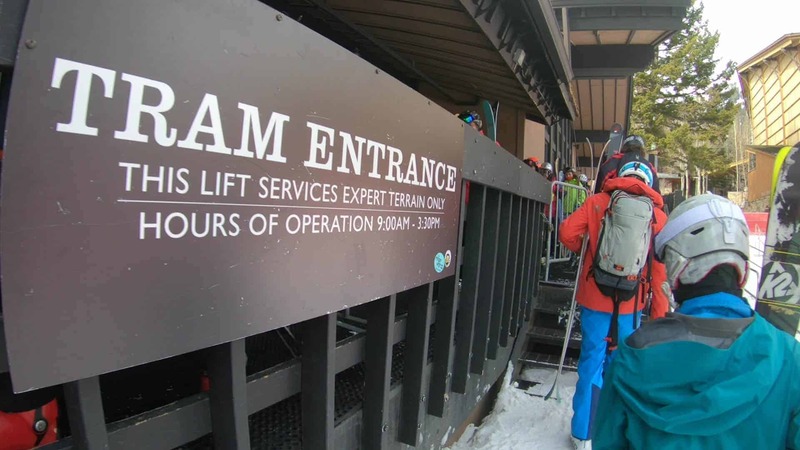 From the top of the tram, skiers can access the best terrain on the mountain, including the legendary Corbet's Couloir. If you aren't a skier, the tram offers the best views of the mountain and can be enjoyed by all. Did I mention there are homemade waffles at the top of the tram? Because, there are, inside Corbet's Cabin. Riding the tram at Jackson Hole is a must while you are visiting, any time of year. The Mormon Row settlement is a historic district inside Grand Teton National Park, comprising of the Moulton and Chambers homesteads built in the early 1900s. 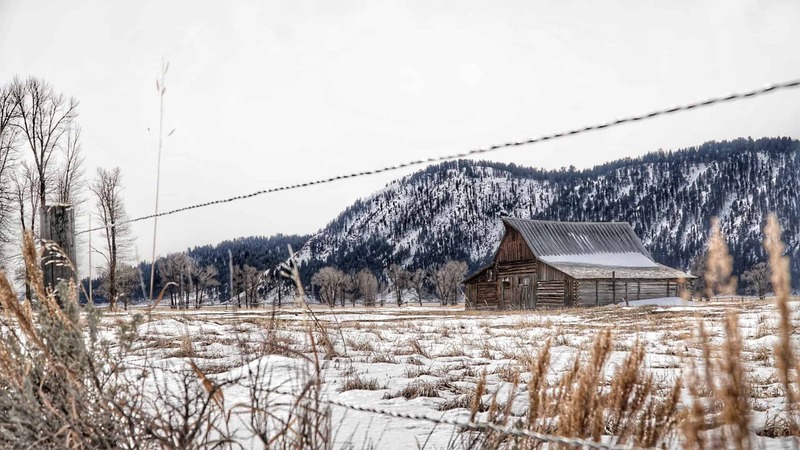 The Moulton Barn is one of the most photographed barns in the US, rightfully so as it sits in a pristine field with a backdrop of Grand Teton. 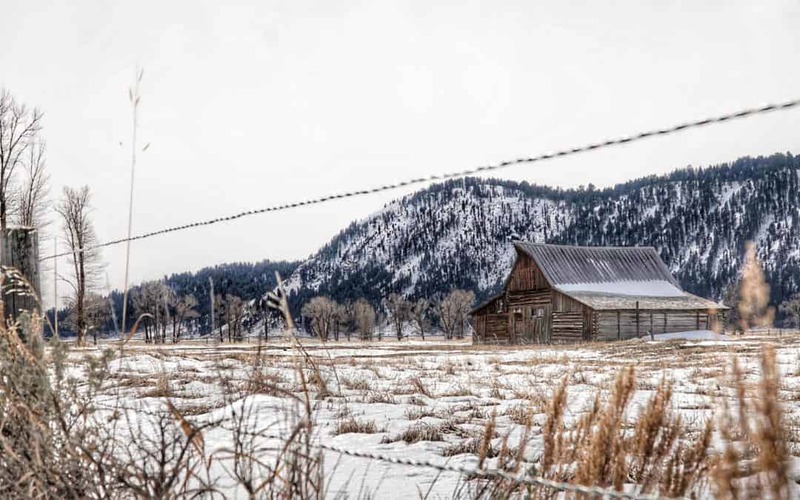 In the winter, you’ll be lucky to find a day where the Teton’s are out to play and not covered in clouds, but hiking to the barn is worth the trip regardless. In summer, this barn has a road leading up to it, parking lots across from it, and busses bringing tourists from all corners of the world. Accordingly, it can be packed. However, the road leading up to the barn is closed in the winter, requiring a mile and a quarter hike in to reach. Winter cold coupled with a hike in equals less tourists to battle. We had the area to ourselves the entire time. The only other souls were a couple of coyotes howling hello from across the field. Grand Teton National Park lies just outside of Jackson Hole and is a hot spot for tourism in the spring, summer, and fall months. In the winter, however, much of the park is closed or only accessible by your own power (snowshoeing or cross country skiing). While access is limited during these months, the potential for solitary enjoyment of the park is high. From wildlife to the landscapes to the historical presence, Grand Teton National Park is an incredible place to visit in the winter. 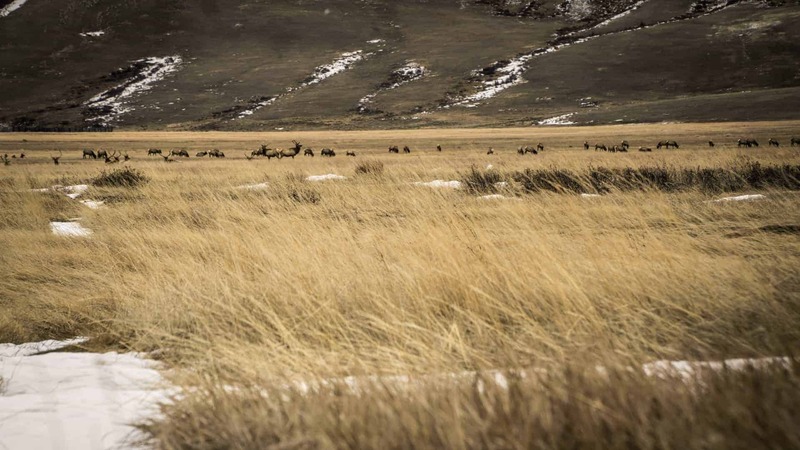 The National Elk Refuge sits just west of Jackson Hole, and is home to around 7,500 elk who migrate here during the winter. These large herds can be seen just off the road on Highway 191, where there are lookout points. Alternatively, you can take a sleigh ride into the refuge to get an even closer look. You may even get lucky and see some bison traipsing through the refuge during the winter! Getting out and exploring downtown Jackson is a great way to kill some time and explore the plethora of boutique shops around town. 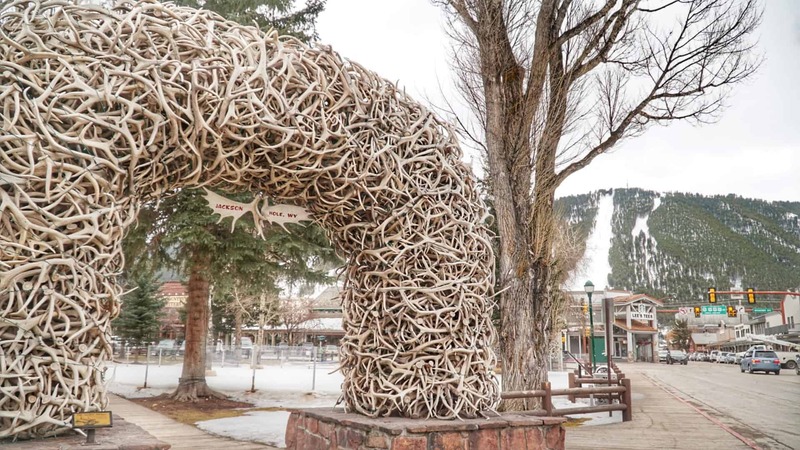 In the town square, you can see the famous antler arches welcoming you to each corner of the square. No elk were harmed in the creation of these arches. Thanks to the abundance of elk in the refuge outside of town, there are also an abundance of antlers shed by male elk in early spring. The Boy Scouts began collecting the shed antlers in 1967, and each arch is made up of around 2,000 antlers!